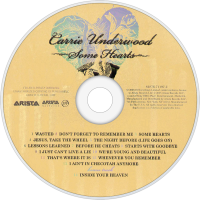 Some Hearts is the debut album from country singer Carrie Underwood, released in the United States on November 15, 2005 by Arista Nashville. It has been certified seven times platinum in the U.S. (RIAA) and three times platinum in Canada (CRIA). On December 4, 2006, Some Hearts was named the number-one selling album of the year in all genres at the Billboard Music Awards. It is also the best selling debut album by a solo female country music artist in history and the best selling album by an American Idol alumnus in the United States. 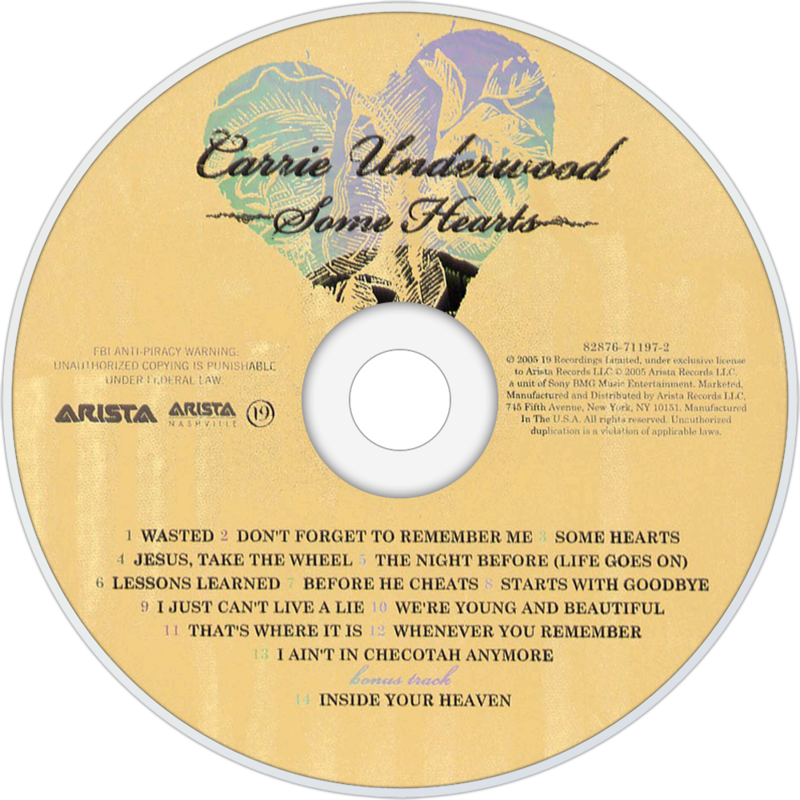 The album contains the number one singles "Jesus, Take the Wheel", "Don't Forget to Remember Me", "Wasted", and "Before He Cheats", her biggest hit to date.